MSBTE Time Table 2019 has been released. Students can check the MSBTE Summer 2019 Time Table from this page. 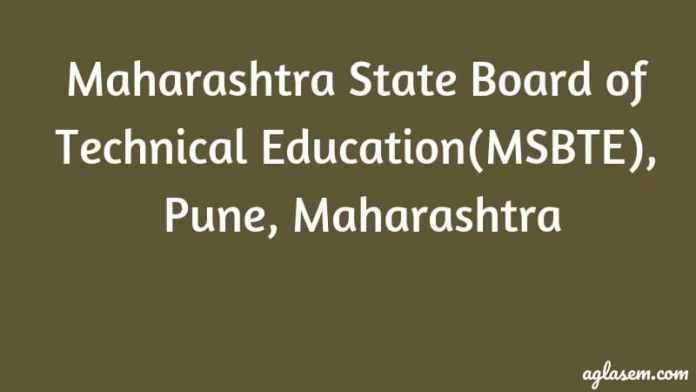 Maharashtra State Board of Technical Education (MSBTE) has released the final timetable for Summer 2019 Exam. Students can check MSBTE Time Table institution-wise, course-wise, day-wise, and Paper Code-wise. The examination date, time, day, subject and subject code can be checked from MSBTE Exam Time Table. Students are advised to check the exam date and time for their subject. To appear for the examination a student has to submit the exam form and fees before the last date. It is advised to download MSBTE Hall Ticket for appearing in the exam. Check the page of MSBTE Time Table 2019. Latest: MSBTE has released Revised schedule/time table of Online End Term Examination Summer 2019 (English). Also, For MSBTE Summer Exam 2019 Hall Ticket – Click Here. Students appearing for the examination has to report to the assigned exam centre 15 minutes earlier. It is advised to carry the printed copy of the hall ticket and college id card on each day of the exam. Students can check the table for the MSBTE Time Table 2019. Notice: Pre-Examination Circular Summer 2019. 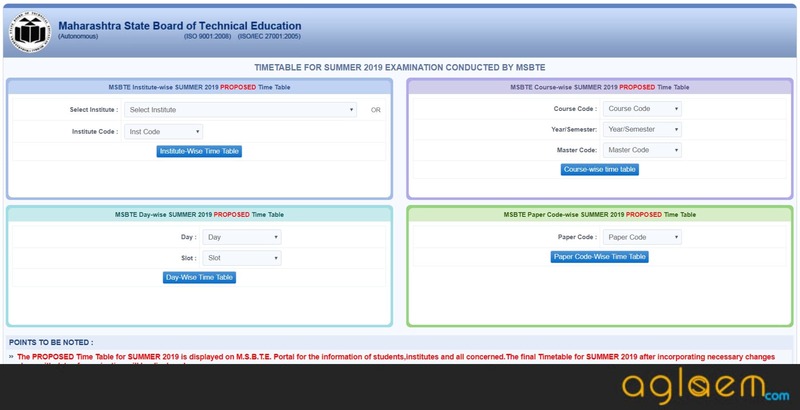 How to Check MSBTE Time Table Summer 2019? MSBTE releases the examination timetable online at the official website, msbte.org. To check the timetable students have to visit the official website of MSBTE. Students can check their exam schedules by following the few simple steps. Check the steps mentioned below. Check the details list available on MSBTE Time Table 2019. The hall ticket for all the student’s releases online. Students can download the hall ticket either by seat number or enrollment number. MSBTE hall ticket is very important to carry on the day of the exam. No students will be entertained in the exam without the hall ticket. MSBTE Hall Ticket holds the information such as enrollment number, candidates name, programme/course name, subject appearing for, photograph, candidate signatures, and instructions. Candidates hall ticket is verified by the examiner during the exam. The exams for all programmes will end in 18 working days. The examination will be held daily except on Sundays and Holidays. Any correction still needed can be communicated along with justification. Exams for the different semester are scheduled on the same day but in different slots, so there is no chance of clashing. The Time Table does not include theory exam conducted in online mode.